Hi everyone, I’m going to be showing you guys my system. The problem most people have in teadingaregare entries and exits, they let fear and greed direct them into a trade which is the wrong way to approach it! This strategy has very high accuracy when predicting good entries and has a decent exitstrategy as well. I’m showing people here this so we can try to develop an EA with these rules that I will outline in the coming paragraphs. First let me answer some basic questions first, so the thread isn’t cluttered up with people asking the same things over and over. Q: Why do you think your System is awesome? A: I think it’s awesome because it takes all the best parts of the best Systems and combines it into one that will not fail. Q: What indicators do you use in your system? A: I use a variety. CCI (30), RSI (50), ASI (300), Nonlag MA,Renko Bars, EMA (89), and TRO Dragon Tunnel. Q: What time frame do you use? A: I use Minute 2 Time Frame with Renko Bars set to BoxSize 7. Q: What Pairs do we trade with the system? A: EUR/USD. It obeys techincal the most and moves the most intraday. If EUR or USD ever ceases to exist we can trade this strategy on pretty much anything with a chart. 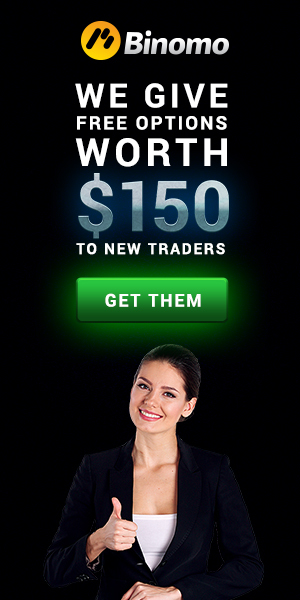 I just likeforex and eur/usd because of the amount of profit you can make. Q: Does your System have Take profit and Stop Loss? A: Yes, the strategy consists of a stop loss and a way to take profit. Q: Any negatives of the Trading system? A: Only negative is you cannot be zoomed all the way in on your chart otherwise theindicators such as CCI and ASI repaint. Keep it in the middle. Example: zoom all the way out then press the zoom in button 2 times for best view. Now I will explain it for everyone. CCI is an amazing indicator for entries, I have learnt this through much study so we will implement this into the system. We also need a way to know when to enter exactly and when to exit exactly, so we will use the Nonlag MA color change to do this. The Renko Bars will Help with stress, distraction and provide a nice divergence for the Nonlag MA to follow. 2. Put all the indicators in the expert/indicators folder in metatrader folder. Put the .tpl (Template) in the Metatrader/template folder. 3. Go into Metatrader, open up a 1 Minute Chart of EUR/USD. 4. Find the RenkoLiveChart_v2.1 indicator and attach it to the chart. Add 7 for the BoxSize and make sure RenkoTimeFrame is set to 2. 5. Open Offline Chart, select Eur/USD M2 (minute 2). 6. Right click and load the Template I have given here. Buy/Long entry: Buy when the Light Blue CCI line is above the Yellow ASI line and the Nonlag MA has turned green and is above the Dragon Tunnel. (Buys can also be a lot stronger when Light Blue CCI line is above both Yellow ASI and the Red RSI line). Short/Sell: Sell when the Light Blue CCI is below the Yellow ASI line and the Nonlag MA turns red and is below the Dragon Tunnel. (Sells can also be stronger if Light Blue CCI line is below both the Yellow ASI andRed RSI line). Exit the trade when the Nonlag MA turns the opposite color on you. If you’re long and it turns red, exit. If you’re short and it turns green, exit. The Pink EMA (89) is used as a indicator of the overall trend. You can notice how the price likes to touch it once in awhile to test if the trend is still valid then it continues on its way or breaks the Pink Line. IF it breaks you know a change of trend has taken place. Be careful of ranging price in and out of the Pink Line, this means price is consolodating for the next big move! The Dragon Tunnel is also an indication of the trend but not as strong as the Pink line. Price in an uptrend will stay above it and sometimes poke the bottom to test if it can be broken. Price in a downtrend will stay below it and poke up sometimes to test if it can be broken. So, remember what all those people told you when just starting, trade with the trend! You should use a Stop Loss, doesn’t mean you have to but it is recommended. Always move Stop Loss to Break Even when in profit and trail it. You can use a Trailing EA if you wish. But I do it manually and just move it 2 Renko bars away as price moves. Additional indicators for you serious money makers: You could try adding theFibonnacci pivot points to this so you will be able to see where price will want to retrace. It mighthelp getting you out of those exits a bit early, which = more pips in the bank. Everything is in the .rar attachment. I even added screenshot showing you how to enter. The Blue squares in the screenshot at the bottom are where the Light Blue was over or under the Yellow ASI.